What is that impacts the business, what is it required to be done by a hotel to the front runner, what is it that others are doing right and you are not able to identify it and lastly how can a hotel achieve a balance between the invested amount and returns. These are questions that are constantly challenging and will continue to do so. There has been a growing awareness among hoteliers and investors to figure issues that is impacting the sustainability of hotels. Sustainability is crucial for any entrepreneur. 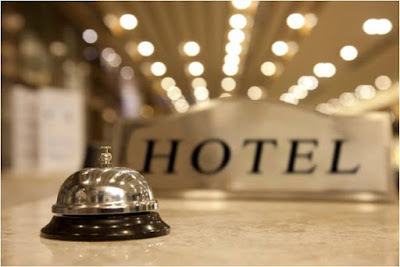 It has been observed that guest remain loyal to brands that offer incredible experience, while the other hotels whose services are considered mediocre loose out in creating an impressive impression thereby not having bankable guest whom they can rely on for business. So let’s in a small way look at strategies that can be induced by hotels to be sustainable. The managers of the hotel are crucial to the success of the hotel. They have to be out there, reaching out to guests, interacting with them, finding about their stay, issues or any short comings. What usually happens is that the General Managers are so busy with mails, meetings and fortified wooden doors. To know the guest better, they have to be accessible. Guest love this, they appreciate the fact that the manager has taken out time. Of course they don’t want them to be hovering around, it’s reassuring for them that you are accessible. This is also reflected in social media travel and blogging sites where they leave positive comments and testimonials. Individual hotels and hotel groups should be extremely competitive in their marketing efforts. The website definitely has to be eye catching but at the same time should use engaging headlines and illustrations on the landing page. Hotels should identify the target clientele right, and use that create content. Hotels use a lot of data analytics to get repeat guests. In a survey conducted by Global Market Metrix Hospitality Index (MMHI), guest priorities differ by region, culture and country. Location so far has been regarded globally as the primary factor that determines hotel choice, price and past experience comes next. It’s a digital age; hoteliers will have to design innovative strategies for online visibility, content engagement, ROI tracking and user experience. Mobile search seems to be the strength of digital marketing. The hotels website has to be optimized for mobile search and should be compatible to all mobile devices. Most of the hotels today are inclined towards catering to the needs of the differently abled. India and Indian hospitality industry still has a long way to go before being completely inclusive, but there is a significant change in this direction. Hotels today have ramps; signage’s and rooms to accommodate the differently abled. This segment is not fully explored and remains untapped by the hospitality industry.